Jacky is our latest CYPRES crew member. She describes herself as a gipsy driven by a restless, passionate heart and an adventurous soul. 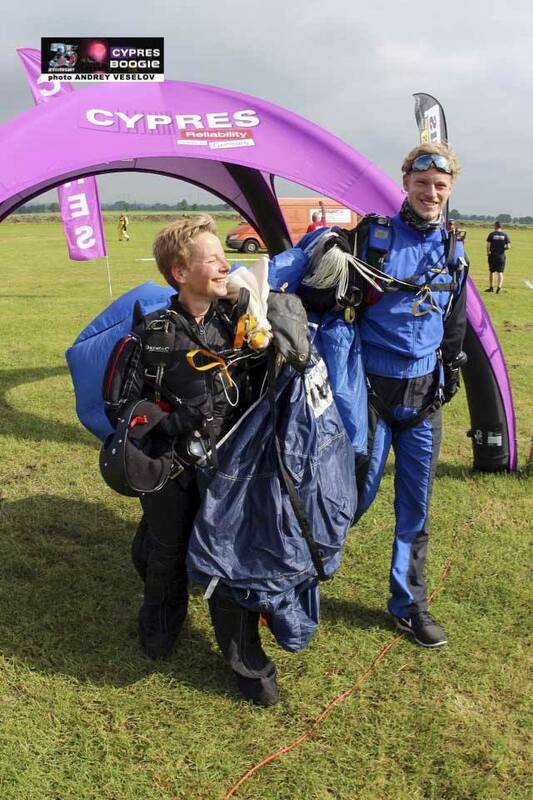 After 18 years of dreaming the dream of skydiving, Jacky finally made her dream come true with a tandem jump in 2014. 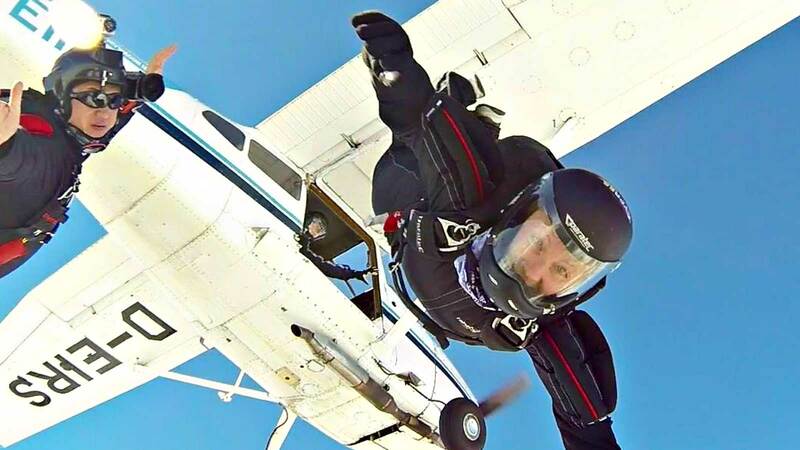 „Back in 1996, I gave someone tandem skydive jump for his birthday. I was pregnant at that time, so I had to stay on the ground and could only watch the entire dropzone crowd for a few hours. It was the thrill of excitement filling the air that caught me right away. And from that day, the skydiving-seed was planted indestructibly in my mind. For many reasons, I had to wait another 18 years before I got a tandem jump for my birthday and finally made out of a plane, however strapped to a tandem instructor. While free-falling for the first time, I was immediately hooked on the feeling of freedom and boundless joy – so back on the ground, I decided to become a licensed skydiver by taking part in a static line course. 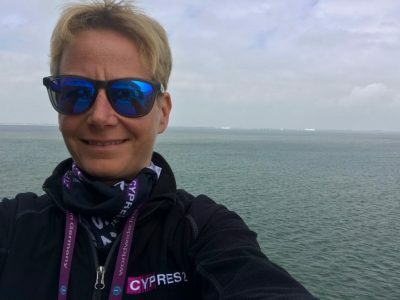 “By starting my course in a skydiving club located at the airport Paderborn/Lippstadt, which is close to the headquarter of Airtec, the connection to CYPRES was naturally there from the very beginning, because there where long time skydiver-friendships between the club members and CYPRES inventor Helmut Cloth”, she continues. 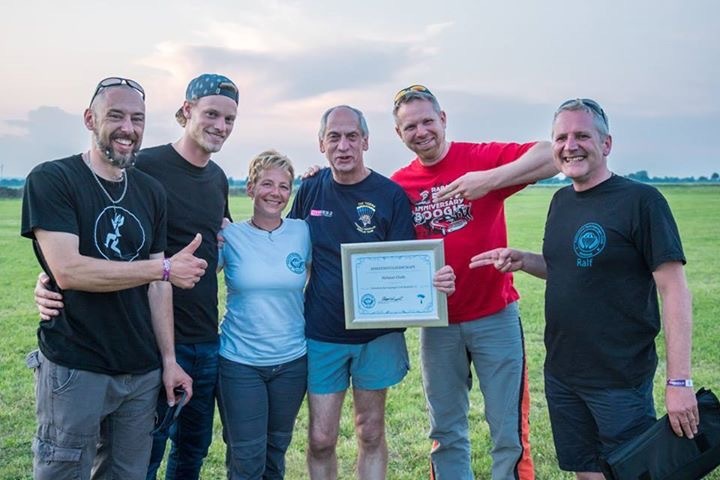 Jacky & Friends with Helmut Cloth at the CYPRES 25 years anniversary Boogie, making him a honorary member of the FSC Bielefeld skydiving club; Photo by Norman Kent. I realized that the invention of the CYPRES followed by a more than 25 years lasting success story of reliability and continuous further development has made a significant contribution to all skydivers in the world. During the winter time, Jacky followed an initial training plan to get insights about the workflows at Airtec and learned about all kinds of CYPRES. By now, in the office part of her job she is substituting her colleagues during their absence and assists the marketing team with texting and communicating. Given the facts that she is an outgoing and very communicative person that loves to travel and in addition speaks German, Dutch and English, she was perfectly predestined to become the new “CYPRES-boogie-face” for Germany and the Netherlands. You might have already met her at the Kingsday boogie on the Dutch island Texel in April and we’re sure you will meet her at one of the boogies coming up this summer. Do what you love – and love what you do! Besides, Jacky also loves to write and we really appreciate that her first little article in the German skydiving magazine “Freifall Xpress” was recently published.” In terms of skydiving, Jacky focusses on becoming an AFF instructor next year. At CYPRES, Jacky keeps on learning everything there is to know and she’s looking forward to meet you at her roadshow tent! Jacky and a friend after a joyful jump at the CYPRES 25th Anniversary Boogie; Photo by Andrey Veselov.